Providing leadership to the community and professionalism to the practice of law. Caldwell, Kennedy, & Porter has been advising clients in the Victor Valley for 20 years, and the firm is well-known in the community for its ability to take action. 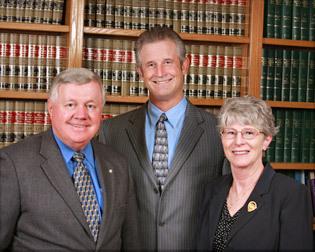 Results oriented attorneys at Caldwell, Kennedy, & Porter advocate for the clients’ interests first. While they maintain trial readiness, negotiation tempered by reason and sensitivity to the client is typical of the Firm. A testament to the way in which Caldwell, Kennedy, & Porter conducts its practice is that numerous court personnel rely on the Firm for legal counsel concerning personal business needs. Providing Outstanding Service to each client is paramount to Caldwell, Kennedy, & Porter. Accessibility, responsiveness, sensitivity, and courtesy are characteristics for which Caldwell, Kennedy, & Porter is proud to be known. The Firm is committed to providing cost-effective representation. Clients can rely on the Firm’s honest assessment of each and every matter. Wherever possible, Caldwell, Kennedy, & Porter provides an analysis of probable outcomes and information about costs versus benefits within each possibility. Their commitment to excellence is enhanced by dedicated employees who are proficient in state-of-the-art office support and procedures. Caldwell, Kennedy, & Porter clients are assured of detailed billing and quick responses to questions and legal concerns.